New York summers can be tough: It’s hot, it’s humid and it feels like there is no air left to breathe. And while you slowly melt outside in the gruelling heat, air conditioners will chill you to the bone once you’ve entered a building. 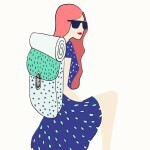 So here are some tried and true tips on how to still spend a perfect summer in the city! 1. If you’re an early bird, how about a morning concert at Rockefeller Plaza? The Today Show hosts free concerts here throughout the year with a-list artists such as Maroon 5, Coldplay, John Mayer or Pink. The bad news: If you want to join them, you’ll need to get there early. Even though the show starts at 7 p.m., plan to arrive at least an hour early for a good spot. 2. Another reason to get up early: Visit Shakespeare in the Park. The tickets are free and distributed on a first-come first-served basis and online via random drawings. 3. While you’re in the Park: Go rowing in Central Park. 4. Go swimming in Central Park. 5. Take the tram to Roosevelt Island and enjoy the sunset in the park. 6. 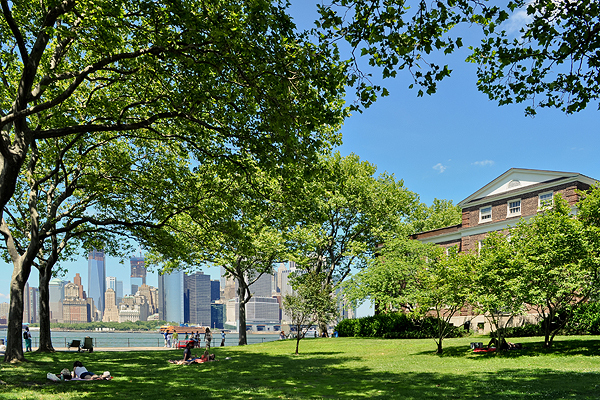 Spend an afternoon at Governor’s Island and either wander around, rent a bike or join a jazz party. 7. Enjoy sweet treats at one of the city’s top 5 ice cream parlours. 8. 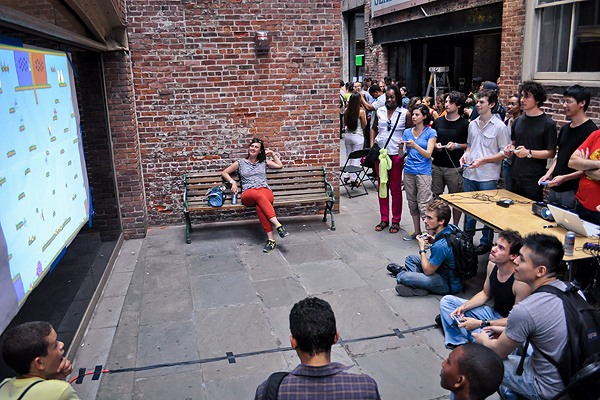 Indoor option to cool down: Take a stroll around Chelsea Market. 9. Go sunbathing at the High Line. 10. Go stargazing at the High Line. 11. 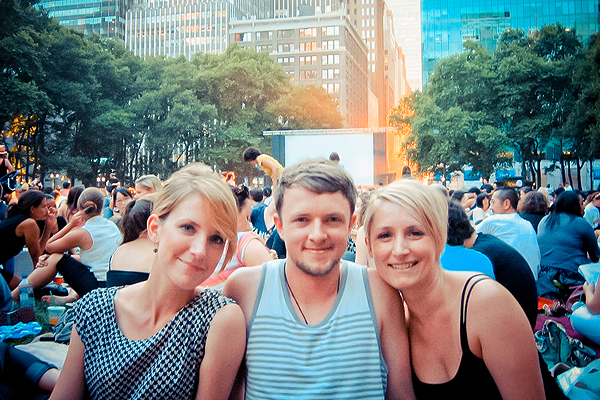 Take a blanket to Bryant Park for the Summer Film Festival. As always: It’s best to arrive early, the space is pretty limited and fills up fast. 12. How about a Barbecue in Brooklyn’s Prospect Park? 13. Attend a free outdoor yoga class. 14. Join a free Tango lesson in Union Square on Sunday night. 15. Go kayaking on the Hudson River at Downtown Boathouse. 16. Join the River to River Festival for art and dance performances, exhibitions, mixed-media, music, and theatre. 17. Love Doug Heffernan? 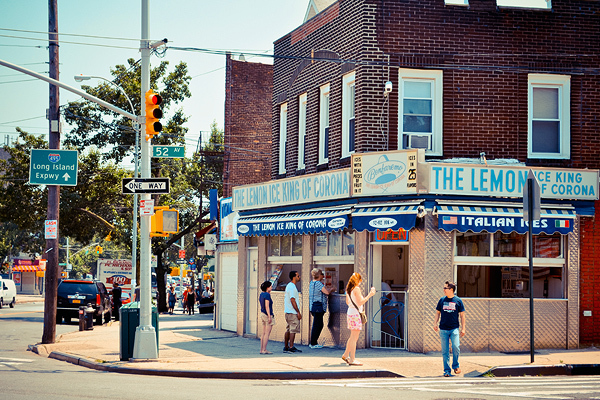 Pay a visit to the Lemon Ice King of Corona. The place really is called Benfaremo and is located in Queens near Corona Park. It’s a bit of a trip if you’re travelling all the way from Manhattan so why not explore nearby Corona Park and the famous Unisphere artwork? 18. Take the Brooklyn Brewery Tour. 19. 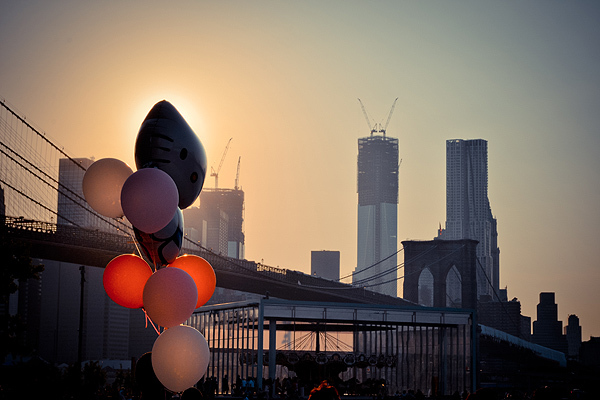 Dig in at New York’s best food fair, happening weekly: Smorgasburg. 20. 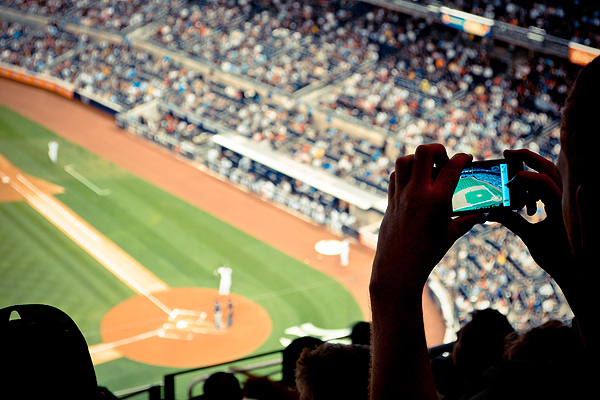 Join the crowds for a baseball game at the Yankee Stadium. 21. 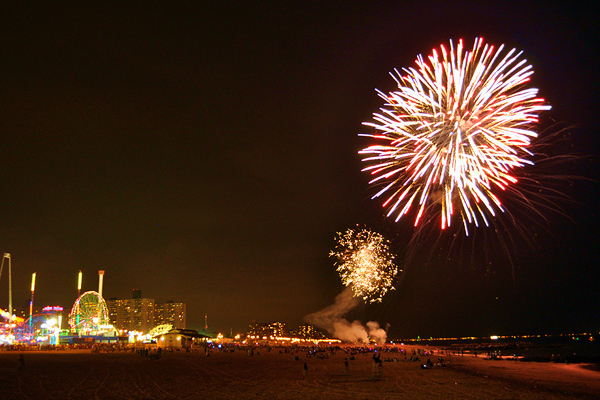 Enjoy a lazy summer’s evening by the boardwalk in Coney Island with a gentle breeze and fireworks! The free attraction happens every Friday and on some Saturdays in the summer. 22. Have a hot dog at famous Nathan’s in Coney Island. 23. Tour the New York Botanical Garden in the Bronx. 24. Explore New York by bike. 25. 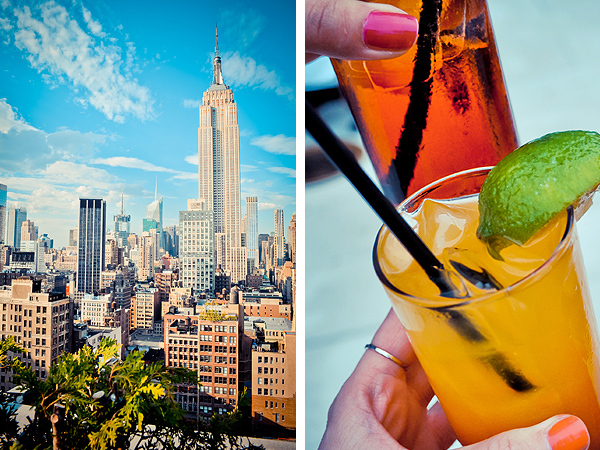 Take to a rooftop bar for some amazing (sunset) views over Manhattan. 26. In the city in May or July? Head over to Queens if you happen to be in time for Manhattanhenge. 27. Staten Island: Travel to the least populated of the boroughs of the city for some beautiful parklands. 28. Go canoeing with the Bronx River Alliance. 29. Can you imagine New York streets to be shut down for traffic? Summer Streets offer exactly that. Nearly 7 miles of open streets offer plenty of room to explore, dance, and work out. 30. Chill out in one of the gardens of the Lower East Side’s Alphabet City. 31. In the City for July 4th? Rooftop bars offer the best views of the fireworks. 32. Take a tourist approach for a trip around town via the hop-on/hop-off busses. A light breeze included. 33. 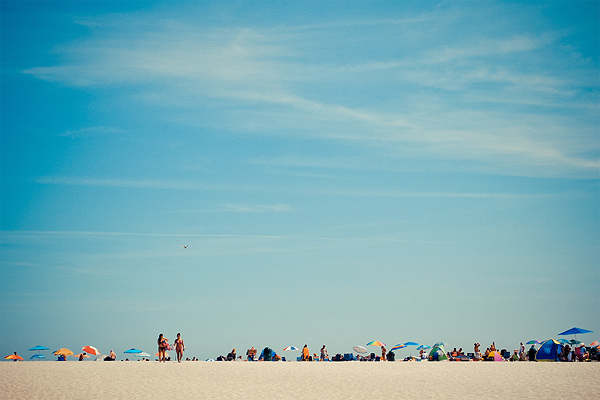 Take the train out to the beaches of Long Island. 34. The best place for fresh seafood: City Island, Seaport of the Bronx. 35. 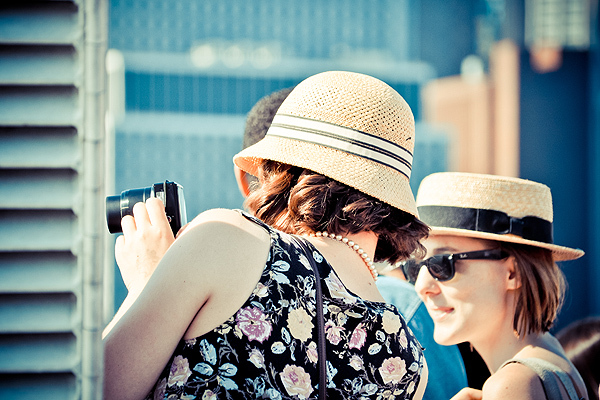 See a free flick with Rooftop Films. 36. A drink at the Metropolitan Museum of Art Roof Garden Cafe & Bar comes with a price tag but also with an amazing view. 37. Want to calm down from the busy city life? How about a trip to the Cloisters. 38. Travel to Long Island City in Queens and take a stroll on the boardwalk. 39. Attend the Come Out & Play Festival which turns the streets of New York City into a giant playground. You can go play zombie tag, join a scavenger hunt or build a labyrinth. 40. Save the Last Dance for me: Show off your best moves at Lincoln Center’s Midsummer Night Swing. There are some great suggestions here and plenty of things I've not done before. Will definitely have to try a few next time I visit. That's an awesome list! =D Sitting on the Statue of Liberty's face...I would do that. A quite amazing list.Alot of things to do and dicover that a tip programmed for one day. You just made me realize how much a miss the City! I did some of the things from the list and next time I get there I wanna see Manhattanhenge and go to the rooftop bar on the Fifth. Does P.S.1 in Brooklyn still exist? That was my best in summer on a weekend. And of course sneaking up on my roof, enjoying the view with a cold beer and a pizza! @ Annika: Yes, the PS1 is still there. Great addition to the list! The New York Botanical Garden and Coney Island are definitely my favorites during the summer. I'm glad you included it on your list! Excellent summary! Soon we will be there and I will add some of these ideas to my plan! 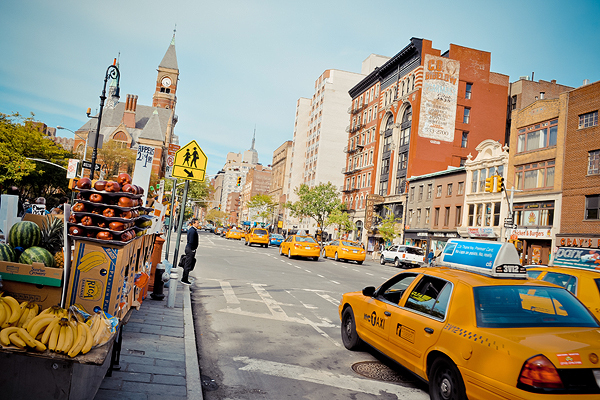 Maybe you are interested in other special things to do that I have just shared in my new blog:http://www.travelthelife.com/2015/06/special-new-york.html? This is beautiful! NY I love you and in summer even more! 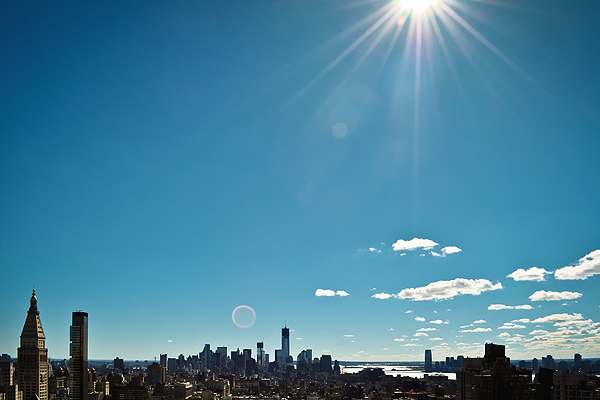 New York City is an exciting place any time of year, but for me the ideal time to visit is summer. Concerts, beaches, films and Fourth of July festivities, are just some of the joys that a summer in the city has to offer. We went to NYC last summer, it was very hot and humid but we still enjoyed our trip. We saved a lot on accommodation since we stayed in a hostel. We also had city pass so we can see a lot of attractions. 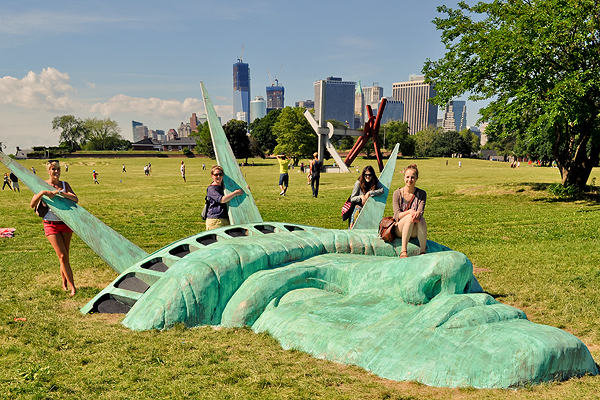 New York City may be known as the most expensive city in USA, but there’s also no shortage of free things to do. I already visited some museums, Time Square, Rockefeller Plaza and Statue of Liberty. We also went to a lot of diners and clubs and watched free concerts at Central Park after checking out the NYC Parks website. By the way, I found a website listing free events in New York which is great because I didn’t have much of a budget. I think FreeEventFinder.com might be useful to people also visiting New York who are looking for free things to do.